“I just wanted to express my sincere thanks for the opportunity to work with RundleFit and Workout Anywhere over the course of these last three months. This program has taught me a lot about proper nutrition, supplementation, and exercise to help reach my immediate goals, and how to maintain going forward as a way of life. Justin and Jessica?s passion to take ordinary people from all walks of life and help them make dreams become a reality is a true testament to their knowledge, dedication, and patience with each person they work with. When I started this program back in February, I weighed 213 lbs. That is the heaviest I have been in the last seven years and the second heaviest I have been in my entire life. I have always had an incredible passion for competition and new challenges so this was a great opportunity to help me achieve my goals and push through some new boundaries. I decided to use this challenge as an opportunity to step on stage at the ?Emerald Cup? (the largest amateur bodybuilding and physique competition in the world). The morning before the show of April 21, 2012 I weighed in at 190lbs. I can?t thank Justin and Jessica enough for this opportunity. At the age of 38, this program did not come easy. I have a wife, two kids, and a fulltime job. I coached a basketball team and led a small group at my church during this time. My schedule was extremely busy and keeping everything in balance was often times difficult. Workout Anywhere put a plan in place for me that worked well around my schedule. A few things that I will take away from this program are, trusting myself, not being afraid to fail, not listening to the naysayers or ?I can?t?, and with hard work I can accomplish anything and dreams will become a reality. If there was any advice I could give to people it would be this ? You miss every shot in life you don?t take and any pain along your journey is just temporary. Quitting lasts forever and you can never get that day back. I am so blessed for the opportunity to work with RundleFit. « Previous Post Char’s Story: Working with RundleFit and Workout Anywhere has challenged me to be my best. 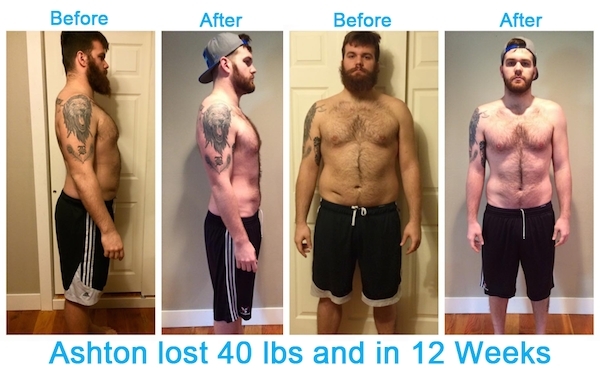 Next Post » Tim’s Story: I Lost 40 Pounds Thanks to Workout Anywhere!